I’ve had the honor of working for the past few months alongside Rachael Plitch, a student at MIT’s Sloan School of Management, to determine the booking behavior of vacation rental travelers. 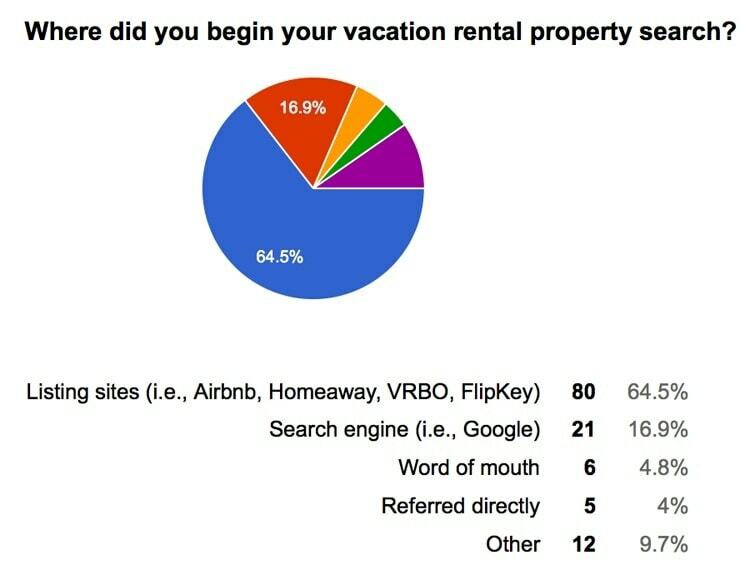 We surveyed 124 of your guests to learn how they search for vacation rentals and how they ultimately chose yours. 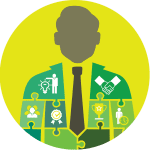 Understanding what travelers are looking for — we believe — can help independent owners and managers provide a better, more relevant service. And since the data has never been available (but through expensive consulting memberships) we decided to make everything we learned open-source in the form of a free workshop. I will be presenting the full data and actionable next steps in a 25-minute LIVE coffee-break session this coming Wednesday, August 19th and you can register HERE. 1. Where Do Travelers Go To Search For Vacation Rentals? What’s perhaps obvious about this data is that the vast majority of travelers are looking first at listing sites such as VRBO, Airbnb, and HomeAway. These brands are the pioneers of our industry and their hard work is reflected in their market share. What’s intriguing is that a remaining 35.5% of searches took place outside of those major list sites. If you are a host with limited inventory (say 1-5 vacation rental properties), this to me suggests that there is PLENTY of opportunity for you (outside of the major platforms) to get seen. I am indeed happy to see that this proportion is rising since I last asked this question in 2012. 2. What Do Travelers Type Into The Search Bar? I found it interesting to see the plug-and-play formula that most travelers are selecting when it comes to their respective vacation rental searches. 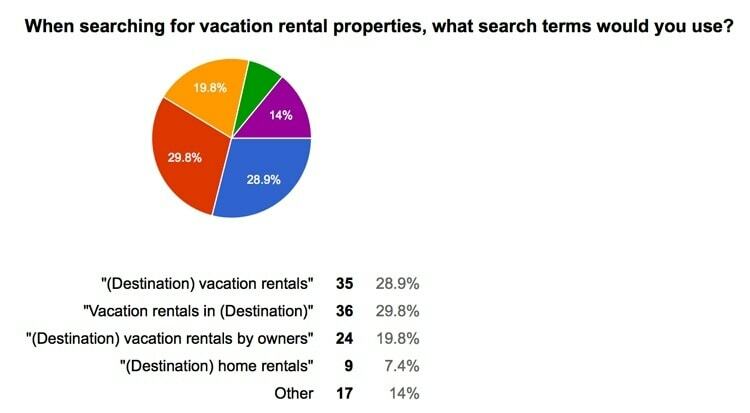 Since vacation rentals are so new and the search data is still relatively limited in sample size, use this insight as a guide when selecting your keywords or planning for future SEO campaigns. The data above matches very well with the actual research that I conduct on a daily basis. Typically, I find the highest keyword volume around vacation rentals in an area follows the format “area name rentals” or “area name vacation rentals”. 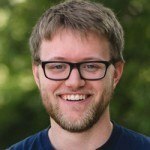 Using a tool like Google’s Keyword Planner (google.com/sktool) will help you take a really data-driven look at the number of searches that you area gets per month in Google. Looking at this data can be eye-opening as it tells you how many guests are looking for exactly what you’re offering! You’ll find that thousands of potential guests are still using search engines to plan and find the perfect vacation rental for them. So, I hope everyone enjoyed these two little data nuggets. My hope is that this kind of research allows independent owners and managers to make more educated decisions when marketing their properties.